February is a time of year when we are surrounded by images and messages of love. Perhaps you, or someone you know, may be considering a Request for Proposal to the love in your life. At GrantsAlert, we fall in love everyday with being able to help you uncover the resources to make a difference in the lives of your students. We think of it as a love affair with funding. We propose to you, three reasons why you should fall in love with funding. Funding brings the financial means to make a difference in meeting student achievement goals. 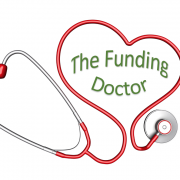 Funding builds your capacity to identify evidence-based solutions to meet your pressing educational needs. Funding strengthens your skills in planning and preparing to benefit your school and community. As we buzz around looking for grant opportunities, we want to alert you to the vast opportunities that exist and hope that you take advantage of these funding resources for your students and community. So as the school year moves forward, consider a deeper relationship with funding and let us help you fall in love with funds.